Get Complimentary Teeth Bleaching with Your Invisalign Treatment! March is creeping up on us quickly but before you get ready to say goodbye to February, remember to take advantage of our monthly promotion! Up until the very end of this month, Kim C. Norman is offering our Facebook fans an amazing deal on cosmetic procedures. 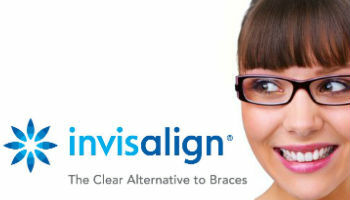 We are offering a coupon for complimentary teeth bleaching with the purchase of Invisalign treatment! Trust Dr. Kim C Norman to straighten your smile quickly, safely and discreetly with the advanced Invisalign system. For a limited time, you can straighten your smile AND get the whitest smile of your life with our teeth bleaching procedure that we give you at no extra cost! All you need to do is visit our Facebook page and “like” us. Then, redeem your coupon for this promotion and visit us for this great deal. We post new promotions each month for our Facebook fans so be sure to like us today. We look forward to seeing you!